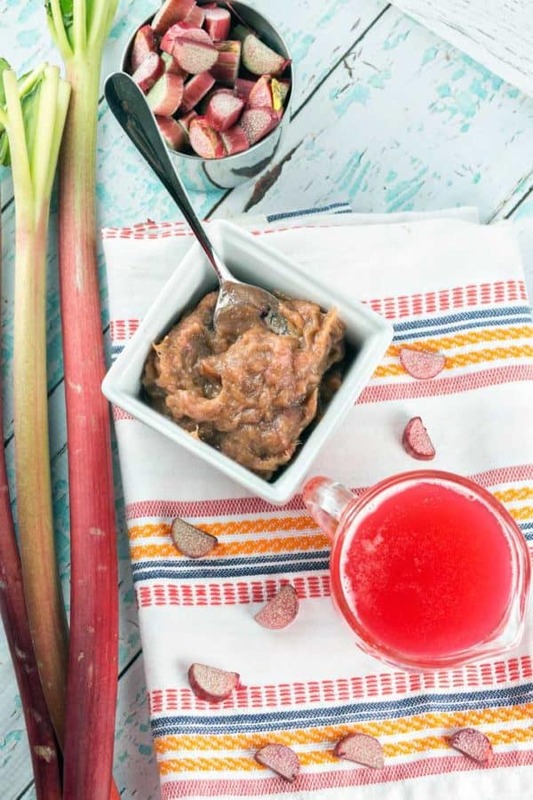 Brilliantly red and delightfully sweet, rhubarb simple syrup has so many uses, from topping ice cream and poke cakes to flavoring lemonades and yogurt. My personal favorite? The starring ingredient in a refreshing Rhubarb Collins. I’ve mentioned before that I split a full share of our CSA with friends. Most of the time, it works out great. It’s a better variety of vegetables and costs less per person for more produce. Plus, in the spring when we’re overwhelmed with leafy greens, it’s a relief to hand over half of all that kale. The downside, however, is that sometimes you’re left with not-quite-enough of something to do anything. Case in point: rhubarb. We received a bunch of rhubarb in our box a month or so ago, and half went off to our friends. 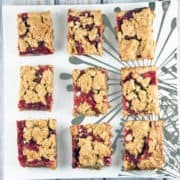 I was left with 5 stalks of rhubarb, which wasn’t enough for any of the standard rhubarb recipes – strawberry rhubarb pie, rhubarb bars, etc. 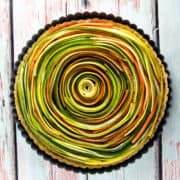 So what else to do with the rhubarb? 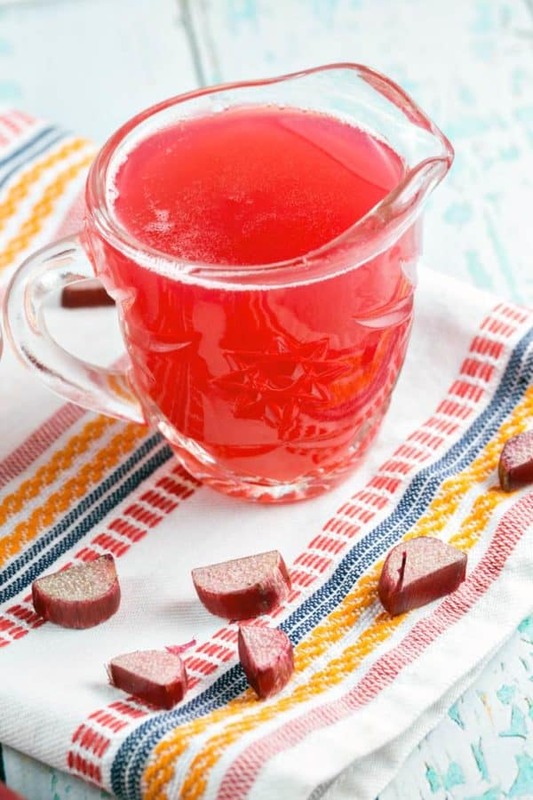 Rhubarb-infused simple syrup. 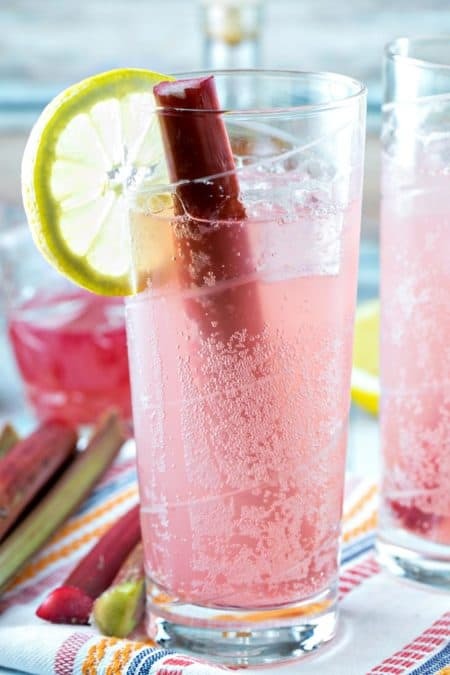 Not only do you get rhubarb simple syrup out of this recipe (perfect for a Rhubarb Collins! 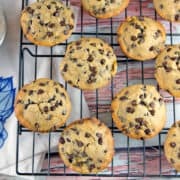 ), but a snack too. 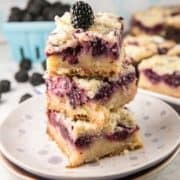 Who doesn’t love a good two-fer recipe? 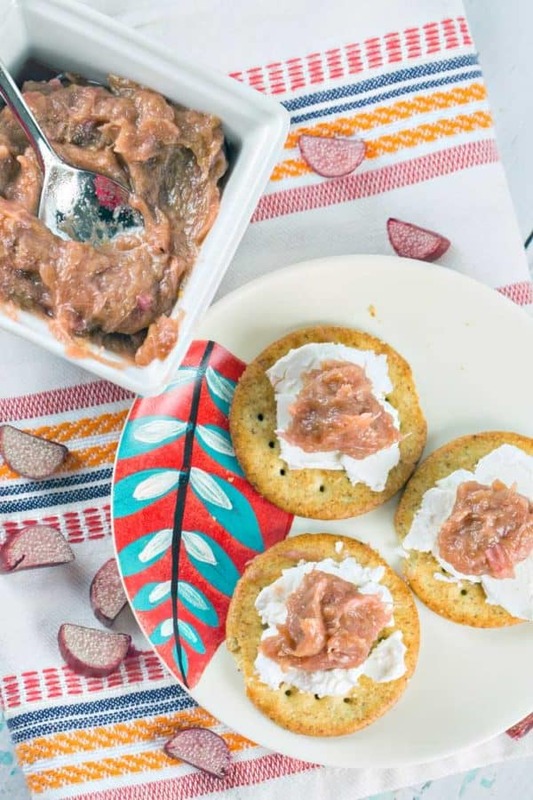 Pair the rhubarb solids from the simple syrup-making process with some cheese and crackers and a nice city roof deck, and you have the perfect summer happy hour. 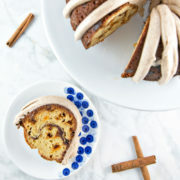 We enjoyed just this combination with my parents when they visited earlier this summer, and it was truly delightful. 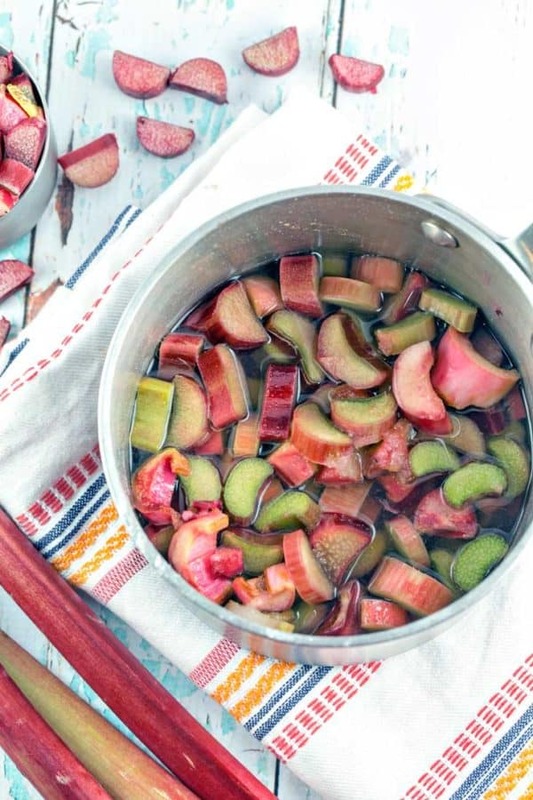 The rhubarb-infused simple syrup is delicious, and the things you can do with it are endless. 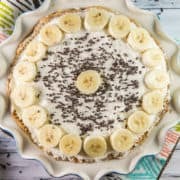 Drizzle it over ice cream or a vanilla poke cake. Stir a little into your morning oatmeal or yogurt. Add a dash or two to lemonade for a little flavor and beautiful color. And of course – make yourself a drink, like this Rhubarb Tom Collins. 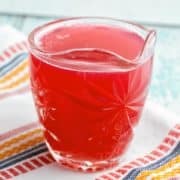 Brilliantly red and delightfully sweet, rhubarb simple syrup has so many uses, from topping ice cream and poke cakes to flavoring lemonades and yogurt. 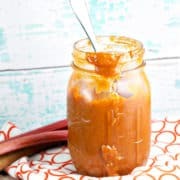 Combine the rhubarb, sugar, and water in a heavy bottomed sauce pan. Bring the mixture to a boil. Lower the heat and cook, stirring occasionally, until the rhubarb is soft, about 20 minutes. 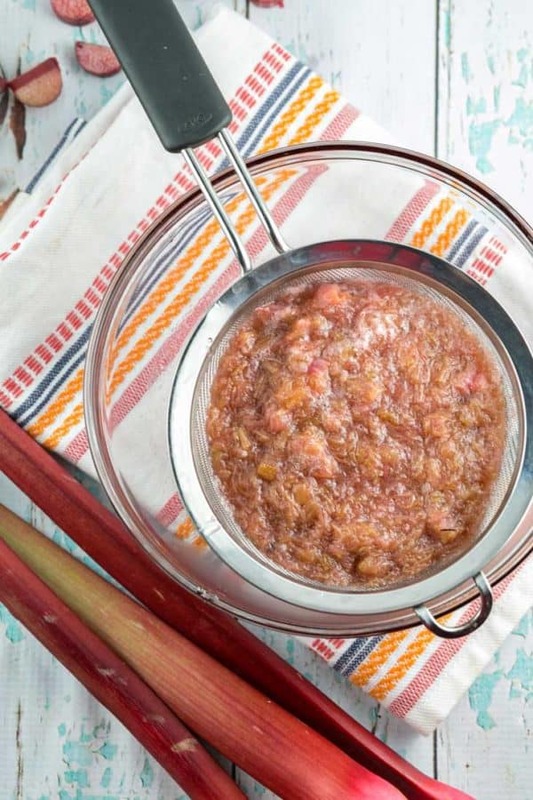 Strain the rhubarb mixture through a fine mesh strainer, collecting the liquid. Press the solids with the back of a spoon to extract more syrup – you will be able to squeeze out quite a bit more. 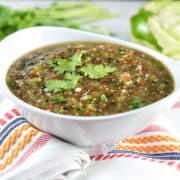 Pour the syrup into an airtight bottle and store in the fridge for several weeks. 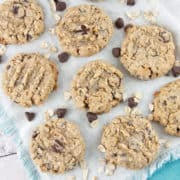 The solids will last for a week or two, refrigerated, and are delicious on crackers or toast. 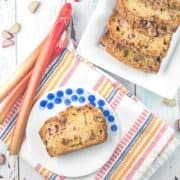 Love rhubarb? 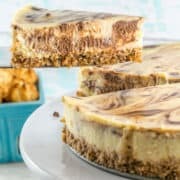 Don’t miss the other rhubarb recipes!